How Often Should I Brush My Teeth with [Braces]? Now that you’ve had braces placed on your teeth, you likely have a sizable number of questions about how to properly take care of these braces as well as your teeth for the duration that you are supposed to wear them. Maintaining good oral hygiene is essential towards ensuring that your smile looks beautiful once the braces are taken off. The following will answer such questions as “How do I keep my teeth clean with braces?” and “How many times a day do you brush your teeth with braces?“. How Many Times a Day Do You Brush Your Teeth with Braces? While the commonly held belief for how often a person should brush their teeth is around twice every day, this “rule” doesn’t apply when wearing braces, due largely to the fact that the brackets and wires that you wear with braces can cause issues with food buildup that leads to the development of plaque and other problems. It’s recommended that you brush your teeth at least four times every day, including after eating breakfast, after eating lunch, after dinner, and before you go to bed. The common disease known as gingivitis can develop in your gums within 48 hours, which means that foregoing brushing a few times can lead to the worsening of your oral health. If your teeth become discolored due to the buildup of stains, these can be difficult to properly remove while you’re wearing braces, heightening the chances that you eventually suffer from a cavity or two. All of this can be avoided by brushing your teeth regularly, although it’s important that you brush gently while wearing your braces in order to avoid damaging the brackets or wires. The reason why it’s so important to brush your teeth after every meal is because food debris can get stuck between the wires and around the brackets, which can be especially difficult to notice when getting towards the back of your mouth. Along with brushing, it’s essential that you floss regularly and use mouthwash to rinse out your mouth at least twice every day. 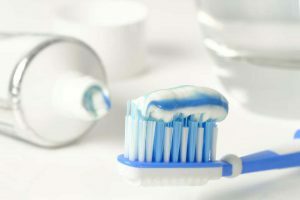 Make sure that the mouthwash and toothpaste you use consists of an ingredient known as fluoride, as this ingredient helps keep your teeth white and clean. By maintaining a good cleaning technique as you wear your braces, your teeth should be healthy once your braces have finally been removed. How Do I Keep My Teeth Clean with Braces? In order to keep your teeth clean with braces, there are various things that you’re going to want to do and foods that you should avoid throughout the teeth straightening process. Your teeth aren’t going to be too difficult to keep clean during this process, but the brackets may make it somewhat tricky to brush in the same manner as you always have until you get used to the changes. Given the fact that keeping your teeth clean when wearing braces is invariably more difficult, it’s heavily recommended that you eat and drink healthily so as to ensure that your teeth are also strong and healthy. As such, you should avoid foods and beverages that are notably bad for the health of your teeth, such as caffeine and sports drinks. Sticky foods should always be avoided when wearing braces as they can damage both your braces and teeth, while sugar should be limited as much as possible to avoid the detrimental effects that too much sugar can have on oral health. Make sure that you avoid carbonated beverages as well, as the acid within can wear down your enamel. Some additional foods that you should limit while wearing braces include popcorn, caramel, chips, and gum. By maintaining a healthy diet, the risks of developing issues with your teeth and gum are substantially lowered and will allow your smile to appear beautiful immediately after your braces are removed. It’s also important that you floss properly at least once each day. While it might seem impossible to floss due to the placement of the brackets and wires on your teeth, you can still thread the floss through the gaps of your teeth, which is essential if you wish to keep your teeth as healthy as possible. Although flossing will take more time to complete than it did when you weren’t wearing braces, the benefits towards keeping your teeth clean will be worth it. After you’re finished flossing, rinse your mouth with mouthwash for at least 30 seconds to help keep your teeth healthy. What Is the Best Toothbrush to Use When You Have Braces? If you’re wondering “What is the best toothbrush to use when you have braces?“, the answer largely depends on what you’re looking for. In most cases, you will want a toothbrush with soft bristles to avoid damaging the brackets and wires that the braces consist of. Some toothbrushes are specifically designed to be used by people who are wearing braces, as they are able to clean around the brackets and wires. There are three basic types of toothbrushes that you should be aware of. One of the more popular toothbrush types is an electric toothbrush. Despite its popularity and the usefulness of such a toothbrush when you’re not wearing braces, the bristles of electric toothbrushes can easily become caught in the brackets, causing the toothbrush to wear down much quicker than it otherwise would. When these bristles catch in the wires and brackets, it can also be difficult to maneuver the toothbrush in your mouth, making this form of brushing your teeth ineffective. You could also choose to use a standard toothbrush with manual operation. When selecting this option, it’s important that the bristles are always angled upwards when brushing in order to properly clean your teeth without worrying about the bristles getting stuck in your braces. Another type of toothbrush that’s considered to be the most effective when wearing braces is a type that’s known as an interdental toothbrush. This brush automatically comes with an angled head that makes it easy to brush over brackets without getting the bristles stuck. Some also come with a secondary triangular brush that can be attached to fit around all sides of your teeth with ease. Contact our office today if you have any questions about braces or would like to schedule your initial appointment. 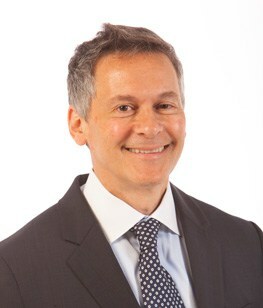 Dr. Joel Gluck has practiced orthodontics since 1983 when he opened his own office in Nashville. He earned his undergraduate degree at Washington University in St. Louis, and his dental degree at the University of Tennessee. Dr. Gluck then completed an orthodontic specialty residency at the University of Michigan, one of the top five orthodontic training residencies in the country. He also wrote an original thesis and received a Master of Science degree.